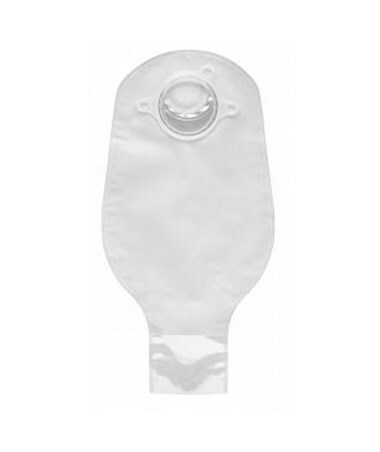 The two-piece pouch design allows for easy pouch removal for venting or changing. 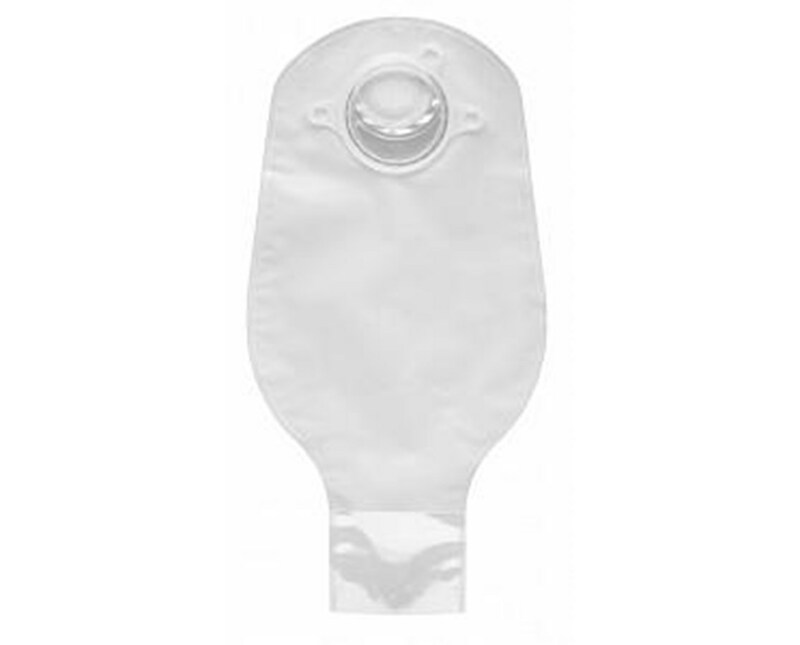 This pouch features a charcoal filter that deodorizes and releases gas. 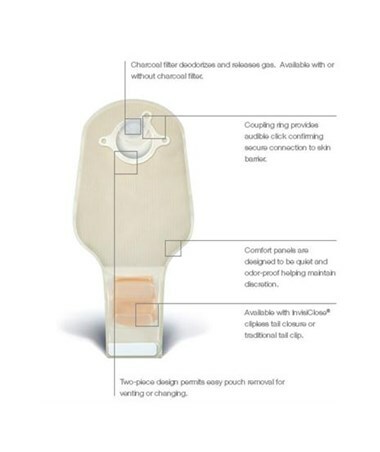 A coupling ring provides an audible click confirming a secure connection to the skin barrier. Sur- Fit Natura comes in four sizes 1 1/2", 1 3/4", 2 1/4", 2 3/4". Select from the drop down above.